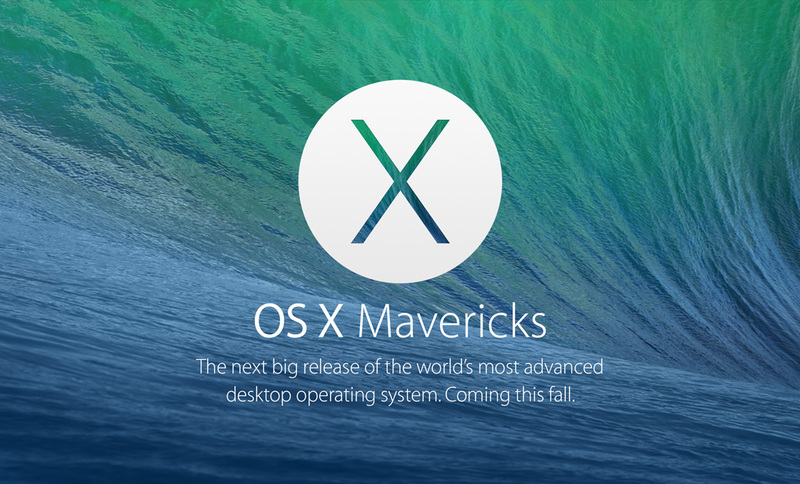 There's a new update for OS X Mavericks available to download from Apple's Developer website. The software update, OS X 10.9.1 beta (13B40), promises to further improve the performance of the built-in Mail app - and particularly its relationship with Google Mail - while at the same time fixing minor problems concerning VoiceOver and Safari's Shared Links. The update comes following the launch of several other versions released in November. Back then, Apple asked developers in the update's release notes to focus their attention on three particular areas: Mail, Graphics Drivers, and VoiceOver. Bugs discovered should then be reported back to Apple, and a new build could be published accordingly. It looks, in particular, like Apple has been at work in two out of those three areas, because Mail and VoiceOver have been improved in OS X 10.9.1 beta (13B40), as well as Safari's Shared Links feature. Here are the release notes for the update: Apple's OS X Mavericks launched as a free download in the Mac App Store earlier this year, in October, and improves the desktop operating system in a number of ways. Besides adding Mac versions of the Maps and iBooks iOS apps, the software update also promises to improve the performance of compatible machines, and can even dramatically extend the battery life of MacBooks running the OS. The free update unsurprisingly saw huge adoption among Mac users, however OS X 10.9 isn't without its share of bugs. As such, Apple has been working towards releasing a minor bug-squashing update for Mavericks; if the recent developer releases are anything to go by, it looks like OS X 10.9.1 is nearing completion. As mentioned, developers can download OS X 10.9.1 (13B40) using Apple's Developer website. We'll keep you updated with further information as we receive it. In the meantime, see: Google Could Bring Chrome Apps To Apple's iOS From Next Month, Report Claims Apple Is Testing 12.9-Inch iPads With 2K, 4K Displays, and Apple's New Patent Could Bring A Stereoscopic Camera Mode To iOS Devices.